The Pinterest secret is out. Unlike typical social media, its search capabilities are giving smart bloggers a spike in traffic. Find out how you can get the power of Pinterest behind your blog. A lot of people are skipping Pinterest in their strategies because they are feeling maxed out when it comes to social media. They’re creating content for multiple platforms, scheduling and implementing growth and engagement strategies. It’s practically a full time job and only just one component of digital marketing. So something’s got to give right? And more often than not, it’s Pinterest, because most people just can’t quite get their heads around how it would work for their niche. I totally get it. I was doing exactly the same thing. Pouring all my energy into Instagram. And I was getting fantastic growth and engagement, which is exactly what I wanted for brand recognition, but when it came to click through to my website. Crickets. Then I read a blog that claimed 1000 followers on Pinterest is better than 100,000 followers on Instagram. That got my attention. But I don’t share interior design, food and wedding pictures from my blogs, so why would I care? After all, that’s what you get on Pinterest. Right? Wrong! You see I let my personal use cloud my expectations of the platform. 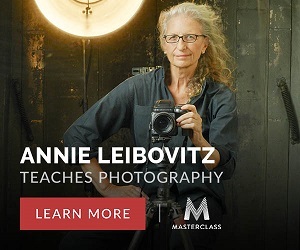 I love looking at gorgeous rooms and getting inspiration for my own house, but on my blog and professional I’m interested in digital media and marketing. So like most users, I’m not a one-interest-wonder. I realized that Pinterest is inspiration platform where users just like me search for ideas. And those ideas can be pretty much anything. I was an early adopter of Pinterest but I soon realised that I was way behind the pack when it came to using for my digital discussions. But with a bit of research and the key ingredient - consistency - I found I quickly grew my engagement on Pinterest. And within one month of actively implementing my strategy my Pinterest traffic had overtaken my Facebook traffic. Now back to that Instagram versus Pinterest debate. The analytics speak for themselves here. Most people get a lot more traffic from Pinterest than they do from Instagram. There’s a couple of reasons why. First, Instagram is notoriously bad for sending users off its own platform. So as you likely know, there are no clickable links in posts – you have to refer you audience to your bio to get the one clickable link you have available. Instagram Stories has improved that slightly. But you need 10,000 followers to add a link in Stories and if you’re building a genuine, engaged audience that will take some time. Pinterest on the other hand is built as a search engine. It’s designed to help people find information about their interest areas so they provide plenty of ways for pins to link back to your own content, which has the potential to drive some serious traffic to your blog or website. Still not convinced about Pinterest? Pinterest launched in 2010 and now has more than 200 million people using it every month who have created more than 100 billion pins. In the last year alone, it has grown by nearly 40 per cent. 200 million users. That’s a lot different interest areas you could be tapping into. And a lot of engaged people you can push towards your blog or website where they’ll join your mailing list and buy products and services. If Pinterest is so powerful, why isn’t everyone onto this? Well while it is not be a typical social network, like all the others, it does rely on an algorithm to deliver the best content in its users feeds. To build a reputation as a quality Pinner, you’re going to have to have to Pin often – about 20 times a day is considered the minimum, 50 times a day is even better. I know. That’s a lot. But stay with me. The good news is, it doesn’t have to be all your own content. You can get these numbers happening pretty quickly if 80% of the content you pin comes from other people, while 20% is your own. Over time you want to reverse that ratio to 80% of your own content, but it will take time to build that up. Based on this strategy a solid hour or two a week to get you started, then some ongoing maintenance is what you’re looking at as long as you are using the right tools to speed up the process. It’s easy to batch produce pins quickly this way and if design isn’t your thing, they’ve got so many template you can adapt really quickly. If you haven’t used Canva before, I’ve got a free mini-course available that will teach you the basics, including adapting templates and batch producing. If you're interested in learning how to use Canva, check out my free beginner's course. You can automate the pinning process with a fantastic online program called Tailwind. It can schedule your pins, clean up links and create a library you can repin from. It also connects with Instagram so you can schedule your Instagram posts into Pinterest as well. Tailwind has a Tribes section where you can connect with Pinners in a similar niche and share each other's content. It's a great opportunity to grow your Pinterest reach faster than ever before. Using Tailwind consistently can deliver amazing results. When I first joined I only shared a few pins, but for one month I shared a Pin every day to my tribes and reached 1.2K shares, 442 repins and 12.8M reach. 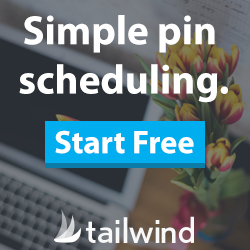 I now use Tailwind for all my post scheduling and Tribes to find great content to share and get others to share my Pins. There’s a free trial available (no credit card required), so it’s worth checking out. Group boards are a relatively new feature in Pinterest and they have taken off! Group boards allow pinners with mutual interests get together to share content and of course users to follow and engage with that content. One of the easiest ways to find Group Boards is to search for recommendations on Google. Let's say you're interested in travel group boards. Just enter the search Pinterest group boards travel into Google and you'll get plenty of articles with recommendations. Get your geek hat on and create or convert to a business account. There’s no payment required or any special conditions and you get access to some really rich information that will help you refine your Pinterest strategy and much stronger tools for making your Pins convert strongly to your website. Make sure you verify your website (under settings) the register for Rich Pins. Once you have Rich Pins, additional information will show directly on your Pin from your website. My free Facebook Group has a dedicated discussion thread for Pinterest, so jump on in and join the conversation if you have any questions, suggestions or other thoughts about Pinterest. If you’re not already a member of the group, you will need to join first to access this Pinterest discussion.